Golfmax Inc. has been developing internet marketing tools for golf courses since 1996. We have witnessed a constant increase in the importance of internet marketing to the successful operation of a golf course. 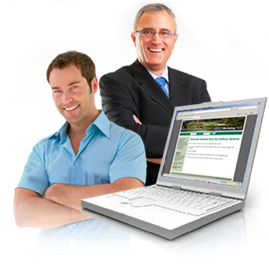 Our services have been designed in consultation with golf course owners. We are very familiar with the competitive pressures faced within the golf industry and the need to keep internet marketing simple, affordable and effective. We offer five services. Each has been designed to be cost-effective and simple to use. Every golf course needs a website. The Golfmax Website service has been designed to impress potential customers and to inform current customers. Thousands of golfers use the Golfmax Where2Play portal every day to make their playing decisions. Any golf course can interactively and affordably use Where2Play for web marketing purposes. Generating the repeat business of existing customers is one of the most effective ways to increase rounds played. Golfmax has developed an easy to use way to do just that. A generic gift certificate program available to any North American golf course with Point of Sale internet access. No set-up or marketing costs - just an immediate source of new revenue. An ideal way to market your golf course. Videos can be placed on your website or added to emails and social networking applications. Contact a Golfmax representative: Call 1-866-GOLFMAX (465-3629) or send us an email.